On Friday night the O35’s are taking on old foes Pagewood at Hensley Athletic in the Grand Final. Dunbar won the premiership with a number of games to spare whilst Pagewood have constantly been a force in this competition. 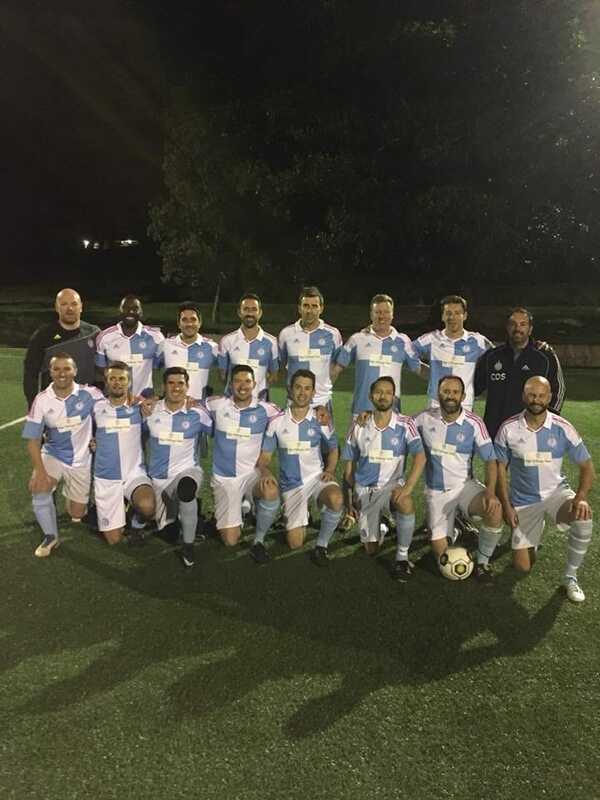 “The over 35’s have had a great season to date, unluckily losing out in a 4-3 thriller to Leichhardt in the State Cup Semi-final and going through the season with only 1 league defeat to their name versus Mascot in the penultimate league game of the season. They turned that loss around though, by turning the lights out on Mascot in the rearranged semi after floodlight failure (pun intended). Final ish score 2 nil after 75 minutes when floodlight failure stopped play (yet again). A few key players will be unavailable for various reasons this weekend with injuries to the likes of Jonny Harris, Ed Turvil and Adam Hafize, Matt Pickover in the UK, Si Philby acting as Maid of Honour at a wedding and Mo finishing a Powerpoint presentation at work. All of them have played their part this season and it is down to the numbers and sheer strength in depth we have this season that we are still able to put out a very strong side. We are up against the old enemies in Pagewood, whom we have met twice in the finals in the last couple of years, both times winning, though mixed results for some of those playing on one of those occasions. I for one am looking forward to going back to Hensley to put my own personal demons to bed and hopefully not be in a hospital bed for any celebrations. Good luck to all the Dunbar teams this weekend, let’s hope we all get the results we want.